After pickng you up from your hotel we will get into ferry in Asan side of Istanbul to Yalova. We drive to Iznik city nearby Iznik Lake, 5th of the biggest lakes in Turkey. Yalova is a city located in northwestern Turkey, near the eastern coast of the Sea of Marmara. Yalova has a city population of 100,863 while the population of the Yalova Province is 118,998 as of 2011. Iznik is a town and an administrative district in the Province of Bursa, Turkey. It was historically known as Nicaea (Greek: Νίκαια), from which its modern name also derives. The town lies in a fertile basin at the eastern end of Lake İznik, bounded by ranges of hills to the north and south. 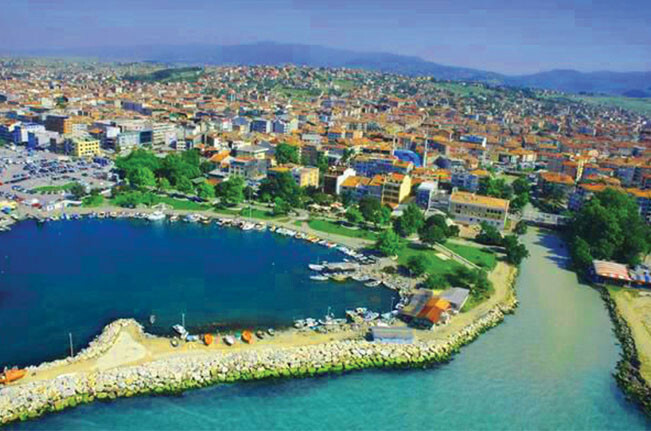 History of Iznk city comes from B.C 2500 and Iznik is famous for ceramics. In Iznik we will visit Hagia Sophia built by Roman Empire in 4th century first as a church, then 2nd Sultan of Ottoman Empire, Orhan Gazi convert t to mosque. Then Lefke Gate which is one of the biggest enterence gate of city wall. We will see Iznik Museum which was built by Sultan 1. Murad in 1388 in memory of his mother Sultan Nlüfer, Ceramists Bazaar in Iznik. We will have lunch in the restaurant nearby Iznik lake. ground. The last stop will be Thermal, a village in Yalova, which has swimming pool and private rooms to take shower with natural hot spring water. Do not forget to keep your cameras with you.